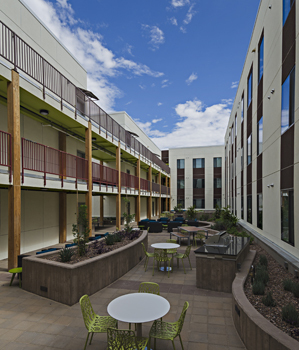 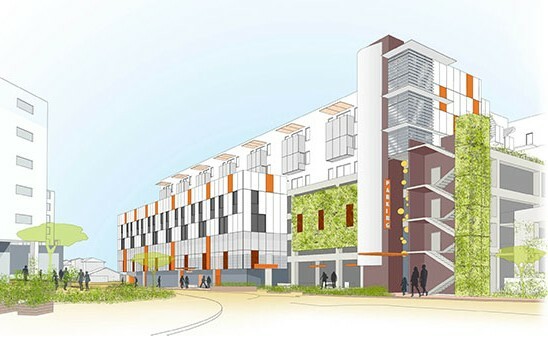 Location: Tucson, AZ - Scope: Urban Interface of Student Housing + Retail - Client: Capstone / University of Arizona + Oasis Tucson - Collaboration with Ankrom Moisan Architects, Inc. 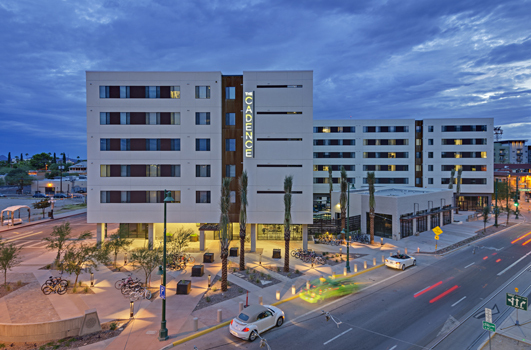 The third and final phase of the Plaza Centro project is Capstone Companies' student housing development for the University of Arizona. 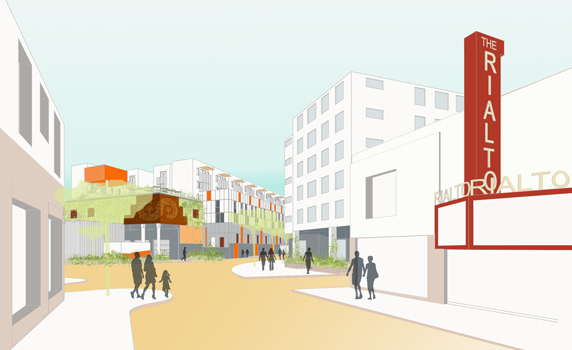 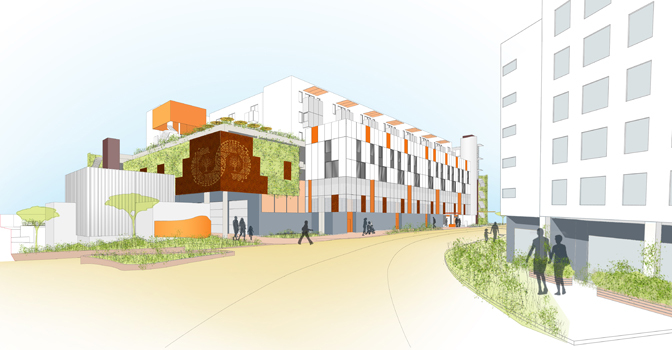 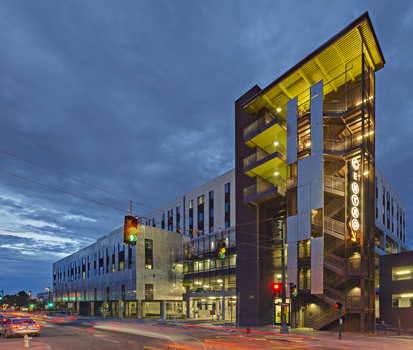 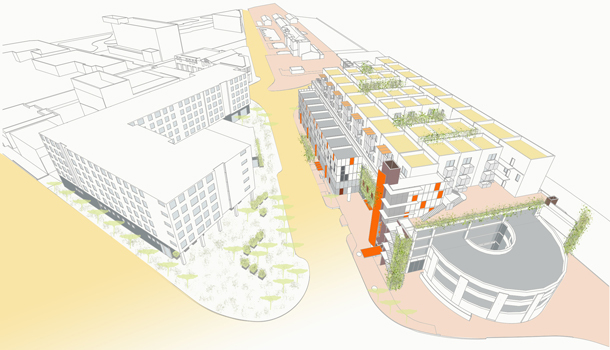 As urban planning consultants to Ankrom Moisan Architects, our primary concern was the alignment of the building volumes with the existing urban fabric, and the creation of vibrant public spaces along the streets around the 4th Avenue underpass. 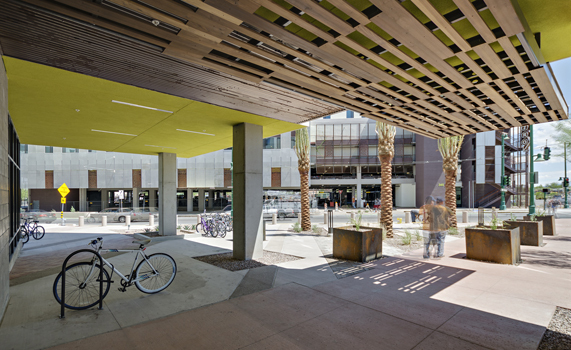 The result is a varied cityscape with 10,000 SF of retail and 4 public plazas that create a truly living neighborhood and an inviting gateway to Downtown Tucson.